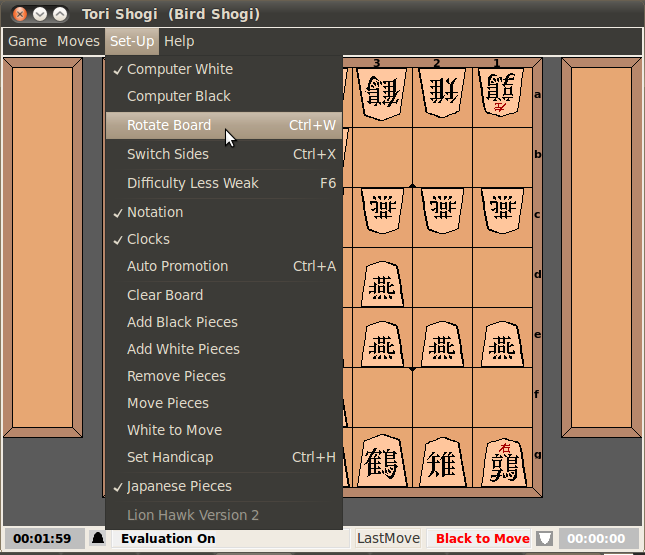 Shogivar is a program to play Shogi variants. 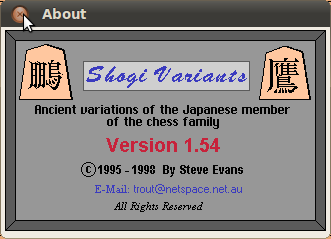 It was written by Steve Evans in 1998, in Visual Basic 3.0. Unfortunately, the executables produced by this compiler can no longer run on modern 64-bit operating systems. 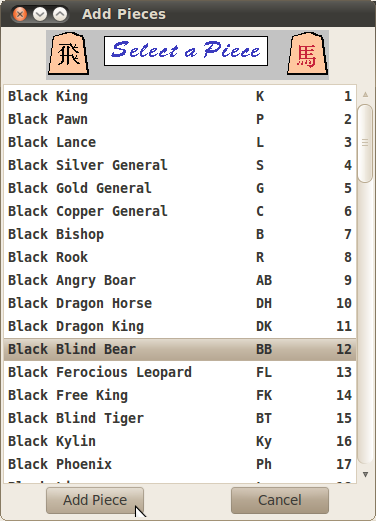 Steve Evans released the Basic source code in 2011, and has recently declared it to be open source subject to the GNU Public License. 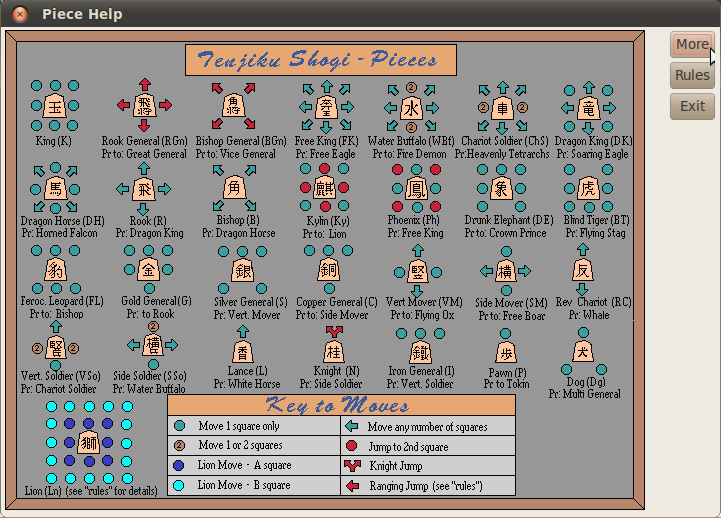 This has made it possible for other people to make an attempt to restore this classic program to its full glory! 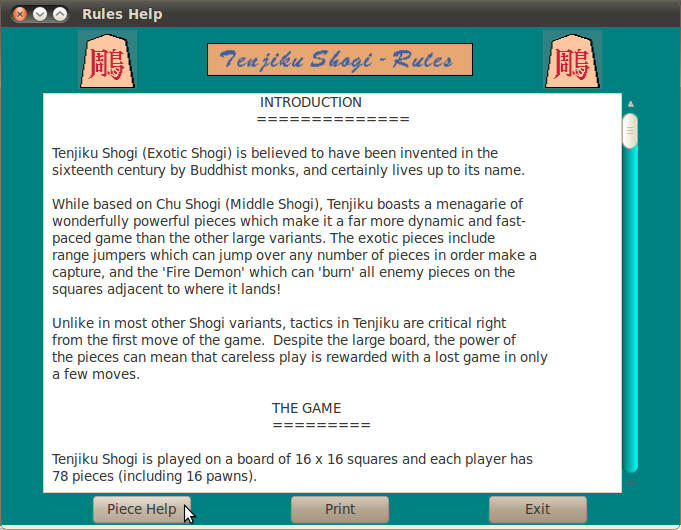 This page presents an ongoing attempt to port ShogiVar to Linux, by translating the Basic source code to C, and linking it to XBoard's GTK-based front-end. 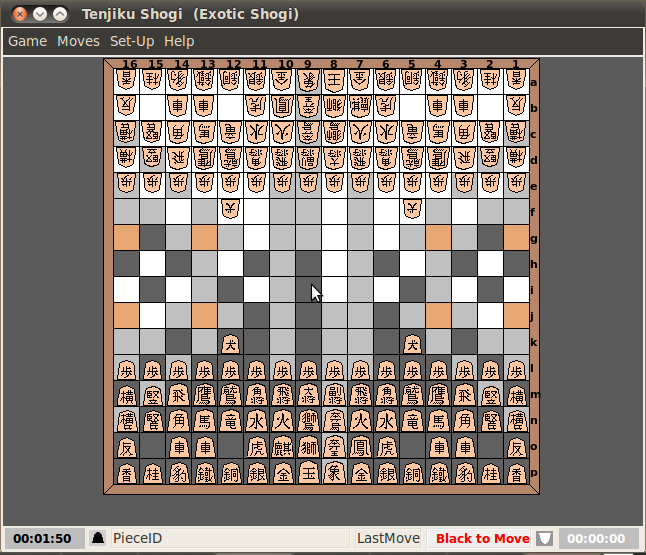 Below you can see some screenshots of this project. 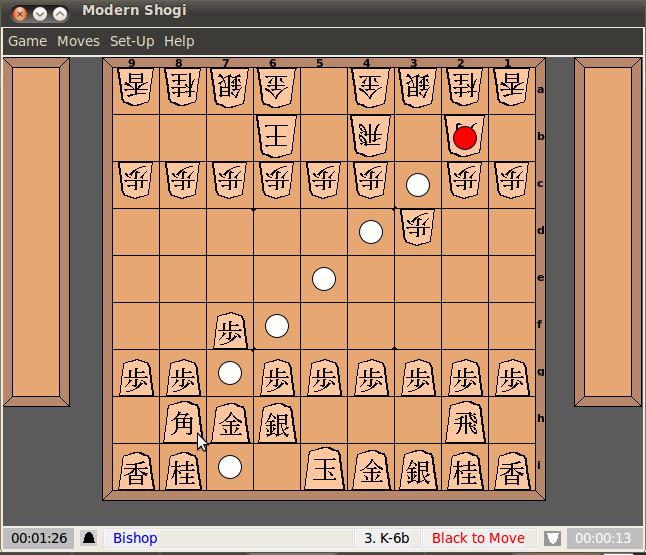 The source code, together with that of the original version, can be found in H.G. Muller's on-line git repository. ShogiVar still has to be properly packaged. For now I improvised a tar ball, (obtainable from the link above), which should work when unpacked in /usr/local of a Debian system (such as Ubuntu). Don't forget you have to be super-user to do that!